If you’re an attorney, you’re busy. Whether you’re a partner at a large firm, or slogging it out in the trenches as an associate, marketing is the last thing lawyers have time to think about. But I’m here to tell you that email newsletters are worth a few minutes of your time. I should know – I’m a lawyer. I have my own firm and I send a monthly newsletter. When it comes to legal marketing, email newsletters are as unsexy as it gets. These seemingly old-fashioned marketing tools take time and dedication to draft and disseminate. I resisted doing one for a long time. But I was pleasantly surprised when my email newsletter started bringing in cases. Just today, I had a consultation with a potential client who was referred to me from a lawyer-friend who is subscribed to my newsletter. We get lots of referrals because of our newsletter. When done right, newsletters help you maintain relationships with your referral sources. And, unlike playing golf or taking people out to lunch, newsletters do this at scale. I don’t know of a more effective tool for doing this (including social media). Keep reading to find out how newsletters can increase your firm’s business. Before continuing, just know, we do offer a newsletter service for lawyers. So, if you’re the type of person to think that we’ve got a financial incentive to write this article…. well you’re right. I guess you got us…. Keep reading if you want to know why we think newsletters are awesome. Referrals are the backbone of the practice of law. They are the goose that lays golden eggs. Most attorneys get the majority of their clients from referrals. Clio’s 2017 Legal Trends report found that consumers looking for legal services typically found their attorney through friends or family (62 percent), and other lawyers (31 percent). An American Bar Association survey found that 80 percent of an attorney’s business comes from referrals. Whichever number you want to put on it, referrals are huge. At the end of the day, every attorney needs a solid referral network. How do referrals work? Well, it’s pretty simple. You intentionally meet people who are in a position to refer work to you. Then, you earn their trust and become friends by meeting and connecting with them. Some people play golf while others go to the bar. Some people take prospects to baseball games while others prefer taking people out to lunch. Whatever way you do it, referrals are a relationship game. The problem with referrals is that you can’t do this indefinitely. At some point, you become so busy with cases it becomes difficult to schmooze people frequently. When you look at referrals from a business perspective, they are very difficult to scale. But if you want to grow your relationship with your referral sources you need to make a consistent effort to connect with them. Consistency is key to staying top-of-mind. That is why newsletters are so powerful. Keep reading. When it comes to reminding friends and family about the work you do, few techniques are as cost effective and time efficient as a monthly newsletter. A good newsletter can be drafted with as few as 200 words, and can automatically be sent out to hundreds or even thousands of contacts. The key to making an effective newsletter lies in sharing something of value with your contacts. You have years of legal experience. By sharing easily relatable snippets of this knowledge with your contact list, you increase your chances of staying at the top of their minds. For an example, consider a criminal defense lawyer. Such an attorney might send a newsletter containing a link to a funny YouTube video showing a drunk driver pulled over by the police. Maybe the video shows the driver agreeing to a field sobriety test while loudly slurring that he’s only had a couple beers. In addition to sharing this video, the attorney includes a paragraph or two discussing what not to do when pulled over by police. This will make a lasting impression in the minds of the newsletter’s readers. When the day comes that one of those contacts need an attorney, they’re more likely to remember the lawyer who sends the interesting newsletters than the attorney they see on a billboard. While the idea of an e-newsletter might seem very 2005, particularly in an era dominated by popular social media platforms, the simple fact remains that old fashioned email usage continues to grow. According to Statisia, in 2017, email users numbered 3.7 billion. This number is expected to grow to 4.3 billion users by 2022 (half the world’s population). With such widespread dependence on email, this tried and true method continues to be a key driver of customer retention. This is particularly true for small and medium size business. And let’s be real, every single person who is in your referral network is in and out of their email all day long. Facebook, Instagram, Twitter, Linked-In all have an algorithm that only shows your content to a small fraction of your connections. There are no algorithmic limitations to email marketing. What About Time and Cost? As mentioned before, attorneys are busy. E-newsletters, though shorter and simpler than blogs and other forms of marketing, take time. The last thing a lawyer wants to think about when in the middle of a trial, or preparing for a deposition, is whether the flow of the monthly newsletter is hitting the right notes. In some cases, an attorney will delegate the monthly newsletter down to an associate, paralegal or front office staffer. This can be very expensive considering that the cost of staffing a legal office is high. Associates and other staffers’ time is better spent on other projects. So, what’s an attorney to do given the cost and time required for producing a quality newsletter? If you feel you will be consistent in drafting the newsletter, and your staff is capable of figuring out all the technology that is required, send it yourself. However, most lawyers find that their time and staff are too valuable to do undertake this kind of task. One of the beautiful aspects of e-newsletters is that they can be outsourced to marketing firms at a relatively low cost. When you add up your time, the hard costs of doing a newsletter, and your staff’s time to send the newsletter, it doesn’t make any financial sense to draft and send your own newsletter. Obviously, we’re biased because we offer a newsletter service. But if you do the math you’ll see that we’re right. There are services available, including ours, in which e-newsletters are drafted by competent writers on a wide range of legal issues. Many of these services will custom tailor each newsletter to your firm and your particular style. If you’re a practicing attorney, there’s no reason why you shouldn’t be using email marketing as part of your overall referral strategy. In addition to requiring little time to review prepared newsletters, newsletter services like ours are extremely affordable. 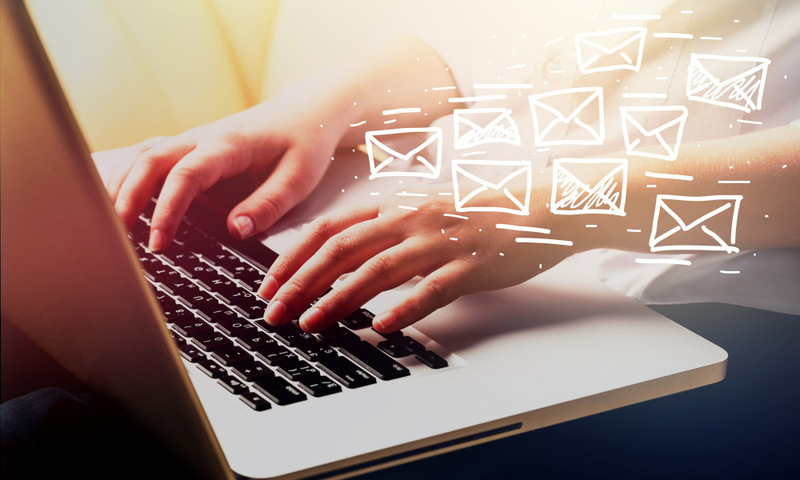 While a marketing firm will save you time, there are also a number of Email Service Providers for you to get your newsletter up and running yourself. These include: Mail Chimp, Drip, ConvertKit, and others. With a high potential for return on investment, and low investment, there’s no good reason not to do a newsletter. If you’ve been resisting this step, it’s time to stop making excuses. Take the plunge. You’ll be happy you did.